Breathing wasn’t easy as she strategically made her way up Sarchasm, a high-alpine sport route in Rocky Mountain National Park. Her fingers were numb. Oxygen levels were low. The wind was howling. But she held it together, squeezing sharp edge after sharp edge. One hairy foot movement after another. With legs cramping and lungs burning, she conquered one of the most technical climbs around, one that had defeated her nearly 30 times before. 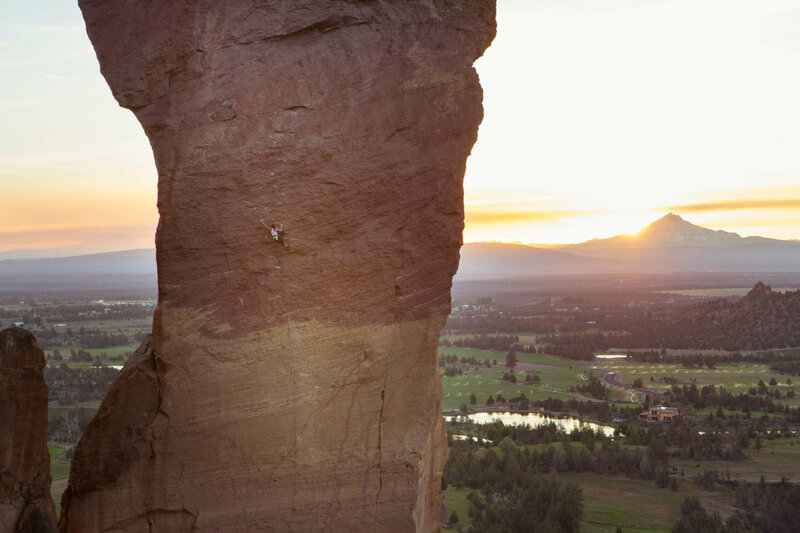 Since the age of 9, she has racked up a long list of sterling credentials while taking on some of the world’s most challenging routes. 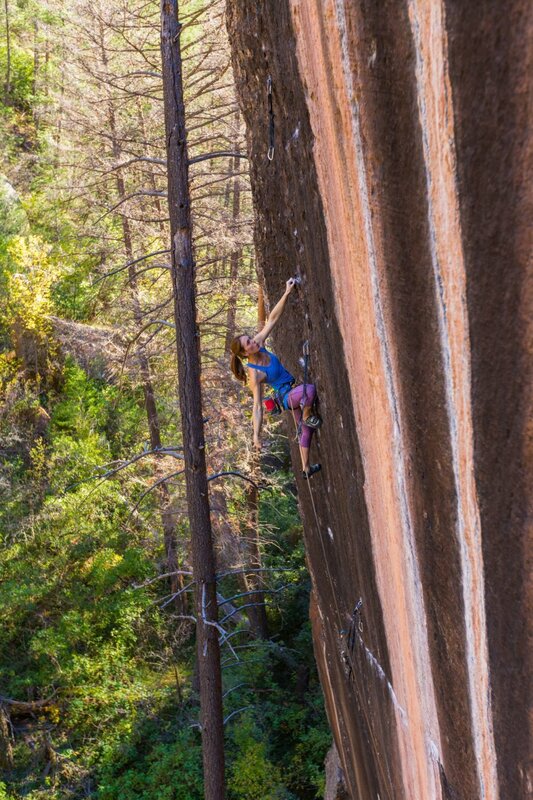 At 19, she snagged the first female ascents of Grand Ole Opry, one of the toughest climbs in Colorado, and Just Do It in Smith Rock, Oregon, one of America’s most historic sport climbs requiring a mixed bag of skills. Back on the ground (albeit with permanent hand calluses and ultrasore hammies), she’s typically taking online classes, baking pastries or hopping a flight to South Africa to visit her fiancé and plan their May wedding. In between all of that she’s cross-training with a TRX-like contraption she built or running down dusty Colorado roads. It’s a dizzying whirlwind, but Claassen wouldn’t have it any other way. That adrenaline-filled mission took her clear across the globe. Over the course of nine months, she traveled to South Africa, Russia, Italy, Japan, China, India, Turkey, Ecuador and Chile, creating videos that highlighted many different initiatives that support women and children. So what does this energetic athlete do to relax? She bakes. Her fave recipe is one of the simplest, and she eats it almost every morning: crepes with butter and jam. Follow that with four more meals and a dessert, and she calls it a day. “We burn a lot of fuel, so we need to consume a lot of fuel,” she says. “If you’re working out for a good chunk of the day, you burn that sugar immediately.” Her other baking specialties include homemade Pop-Tarts, piña colada cupcakes and pumpkin banana bread pudding. In short, she’s one of the best climbers in the world — who treats the world, and her kitchen, as the ultimate playground.